The Honeywell 5800PIR-OD is a wireless motion compatible with Honeywell all-in-one panels like the Lynx Plus, Lynx Touch Series and Lyric Series and Vista control panels when paired with a wireless receiver. 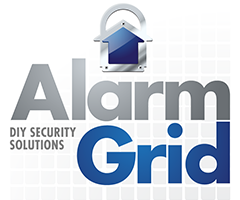 The 5800PIR-OD is also compatible with the 2GIG GC2 and 2GIG GC3 alarm panels. The 5800PIR-OD is weatherproof and completely sealed to prevent bugs from entering the infrared area. To help avoid false alarms, the Honeywell 5800PIR-OD consists of two passive infrared sensors that must both be triggered before it sends a signal to the control panel. When the 5800PIR-OD sees a change in infrared energy that passes into the fields of view, it produces a fault. The upper pyroelectrics can be adjusted in 15° increments left or right with a total of 45° from center on each side allowing a total of 90° for the coverage area. The lower detection area determines the effective detection length of the 5800PIR-OD, and can be adjusted to 6 feet, 16 feet, 26 feet, or 40 feet. The Honeywell 5800PIR-OD is a surface mount wireless motion detector and uses four 1.5V AA Lithium batteries. The 5800PIR-OD dimensions are 3.2"W x 7.8"H x 4.7"D and operates in temperatures that range from -4F to 122F (-20C to 50C) and can be installed in both residential and commercial applications. The 5800PIR-OD has an RF transmitting range of 200 feet and is ideal for protecting patios, air conditioners, utility boxes, etc. The Resolution RE204 Driveway Sensor is a fixed dome wireless sensor compatible with Honeywell & 2GIG alarm panels. A Honeywell alarm panel needs to have a 5800 series wireless receiver to support this detector. This device is made specifically for alerting when a car passes in close proximity to the sensor. The RE204 has a built in sensor that detects changes in the earth’s magnetic field, so that when the large metal mass of a vehicle passes close by, it transmits an alert to the alarm panel. This technology prevents false alarms caused by pets, other animals, and insects. The RE204 is 5.1 inches H x 3.8 inches W and should be mounted at the height of the vehicle door-handle, on a non-metallic pole or stake using the included right angle assembly. The Resolution RE204 Driveway Sensor is weatherproof, uses 1, C-Cell Energizer battery and will operate in temperatures ranging from 0F to 120F. As the maximum transmitting range can be affected by environmental factors, it is recommended to test the RE204 for maximum range, then permanently mount at no more than 2/3 of that range for best results.